He was known by his classmates for having strange behavior. New details are emerging about the 19-year-old Florida man who opened fire at Marjory Stoneman Douglas High School and killed 17 people. 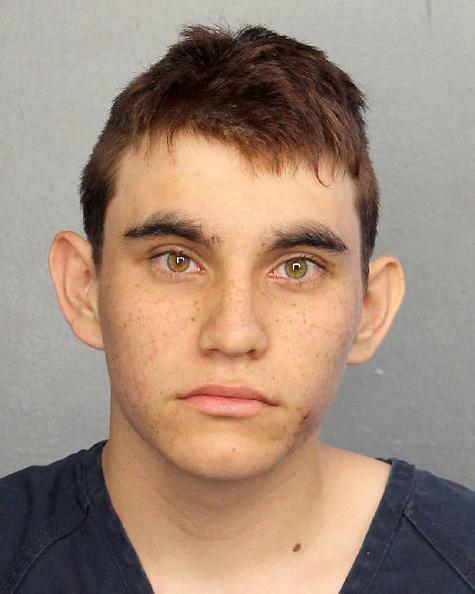 Nikolas Cruz reportedly showed signs of struggling in recent years, according to the Sun Sentinel. Both of his adopted parents had died. His dad when he was a young child and his mother, Lynda Cruz, just 3/12 months ago. “I know she had been having some issues with them, especially the older one," family member Barbara Kumbatovich said. "He was being a problem. I know he did have some issues and he may have been taking medication." Another relative (who wanted to remain anonymous) said that Nikolas Cruz had been diagnosed with autism. After Lynda Cruz died, both Nikolas Cruz and his brother went to live with a family friend. Soon after, Nikolas asked a friend he had gone to school with at Stoneman Douglas if he could move in. Around Thanksgiving, he did, and the family gave him his own room and urged him to attend adult education classes. He also got a job at a local dollar store. Nikolas Cruz already owned the AR-15 he used in the shooting when he moved in with the family. They said they never saw him shooting the AT-15, but did see him shooting pellet guns. One of Nikolas Cruz's former classmates, 16-year-old Emily Sucher, said she remembered seeing him at school last year. She said he was an "off kid" who would "smile weirdly, make weird comments." According to Senator Bill Nelson, the shooter wore a gas mask during the attack and had smoke grenades. “He set off the fire alarm so the kids would come out into the hallways and thus he had the opportunity with a crowded hallway to start picking off people,” he said. Another former classmate of Cruz's, 16-year-old Trevor Hart, said he had "a bunch of weapons." He also talked about shooting lizards, squirrels, and frogs. Neighbors said Cruz got in trouble before for stealing neighbor's mail and biting a child. Cruz was arrested a short time after the shooting at a nearby home. He was wearing an ROTC polo shirt and brought to the hospital for labored breathing. According to the FBI, they were warned about Cruz after he reportedly left a comment on a YouTube video last year that read: "I'm going to be a professional school shooter." He was also not allowed to wear a backpack while on campus. The FBI said they investigated the comment, but were unable to identify who wrote it. He was expelled from school but it's unclear why.